Dubai: The UAE leads the GCC in the Global Islamic Economy Indicator (GIEI), a numeric measure representing the overall health and growth of the Islamic economy across 73 countries. Globally Malaysia, UAE and Bahrain were at top three positions respectively in the GIEI indicator and Islamic economy markets in 2016. The State of the Global Islamic Economy Report (SGIE) and the Global Islamic Economy Indicator (GIEI) 2016-2017 were released on Monday by Thomson Reuters and Dubai Islamic Economy Development Centre (DIEDC) in collaboration with DinarStandard. GIEI evaluated 73 countries including 57 OIC (Organisation of Islamic Conferen ce) countries and 16 non-OIC countries evaluating the Islamic economy ecosystems based on supply and demand drivers relative to the size of the country, governance, awareness and social considerations. Globally, the UAE came second in the Global Islamic Economy Indicator score with 86 points behind Malaysia which scored 121 points. 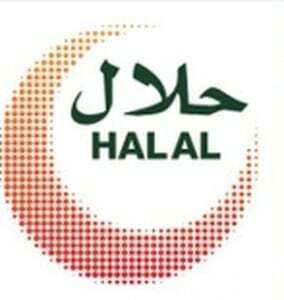 In Halal Food, Halal Travel, Modest Fashion, Halal Media and Recreation and Halal Pharmaceuticals and cosmetics, the UAE was ranked in number one position in the global top 10 ranking while in finance it came second after Malaysia. “Relative to its size, the UAE has established a very healthy ecosystem for Islamic economy companies. The strong government-led Islamic Economy development initiatives have given the UAE a strong platform for Development of all Islamic Economy sector,” the report said. The State of the Global Islamic Economy Report based on a survey of 172 industry leaders estimates global Muslim spend across various sectors at over $1.9 trillion (Dh6.97 trillion) in 2015, while the Islamic Finance sector has around $2 trillion in assets. “For the fourth consecutive year, the State of the Global Islamic Economy Report presents new facts that further strengthen our conviction in Islamic economy’s ethical and regulatory framework and its ability to drive global economic growth,” said Abdulla Mohammad Al Awar, Chief Executive Officer of Dubai Islamic Economy Development Centre. Businesses confirm that the aggregate Islamic Economy is a high-growth segment, with 69 per cent considering sector performance to be good or excellent for them, and 86 per cent of respondents either optimistic or very optimistic about future prospects. Another initiative for this Report series has been the millennial consumers’ sentiment covering Islamic economy using social media data analysis. From nearly half a million interactions analysed, 76 per cent of sentiments were positive. “Islamic Economy is one of the fastest growing tranches of the global economy. The convergence between the Islamic economic sectors is strongly expected to enhance the Islamic economy space going forward. This annual report is now a point of reference for professionals and industry players looking at the current and forecasted trends in this area,” said Nadim Najjar, Managing Director, Middle East and North Africa, Thomson Reuters.